Celebrating 100 Issues of blues news brought to you by Blues Matters! 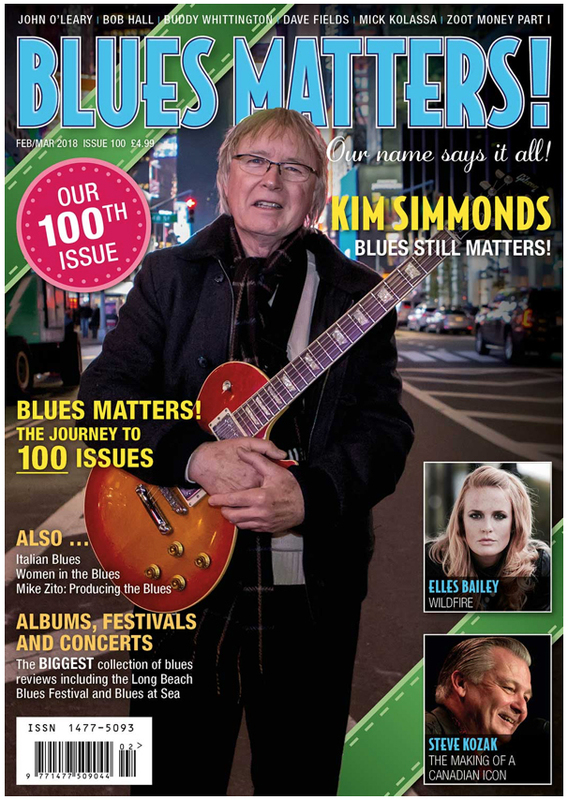 Our featured cover artist for this centennial edition is the legendary Kim Simmonds who is the reason why Blues Matters! began, back in 1998. Click here for more.